Winter can be a great time to purchase a new or new-to-you vehicle. Dealerships are often very slow—consumers are weighed down by holiday debt or hesitant to venture out in the cold to shop for a car—so car salespeople are eager to work with buyers. Before you run out to a dealer, however, it’s important to understand the insurance implications of your purchase. Here are the answers to some frequently asked questions about auto insurance. What insurance will I need if I’m buying a car? Whether you are buying a new or used car, you can’t drive your vehicle home unless you have complied with the laws in your state. In most cases, that means you need to have at least some level of auto insurance, though in some states you can post a surety bond or deposit cash—between $30,000 and $65,000—with a state-specified agency in lieu of purchasing insurance. If this is your first vehicle, you can purchase a new automobile policy. If you already have auto insurance, you can either add the vehicle to your existing automobile policy or replace the vehicle you are using as a trade-in with your new vehicle. The cost of insurance is determined by the year, make, and model of your car; the state in which you live; your age and years of driving experience; and your accident and conviction record over a period of roughly three to five years. In most states, the industry-specific credit score that insurers use is also a factor. How much liability coverage should I purchase? The exact amount of liability coverage you should purchase depends on your circumstances. Each state has its own minimum liability requirements, but the minimum might not be enough coverage to protect you, your passengers, or other injured parties, or to adequately cover property damage in the event of an accident. If you don’t have enough liability coverage, you may be personally responsible for compensating the injured parties and for repairing damaged property. You could even be sued for damages. It’s not just wealthy drivers who need to worry about adequate coverage. Even if you have few assets, earn minimum wage, or do not own a home, you may still want to consider purchasing higher liability limits to protect you against lawsuits that could potentially result from an automobile accident. In the event you are involved in an automobile accident that requires litigation,liability insurance can cover the cost of your attorney’s fees. Depending on your circumstance, the cost for additional liability coverage may be worth the peace of mind that comes with knowing you, your family, and your assets will be protected. You may also want to discuss with your agent whether you need an umbrella policy, which is extra liability insurance that can give you another layer of protection. If you already have an umbrella policy, you will need to add the new car to it. Do I need comprehensive and/or collision coverage? Unlike liability insurance, which can pay for injury or damage caused to another person or another person’s property, comprehensive and collision coverages will help pay for repairs to your car in the event of an accident. It will also cover your costs if your car is totaled. In addition, comprehensive coverage can cover your costs in the event your car is damaged or totaled in a natural disaster or fire. Because comprehensive and collision coverages are intended to repair or replace your car, the higher the price of your new or new-to-you vehicle, the greater the cost of the coverages. High performance, luxury, and sports cars will be more expensive to insure than more basic cars. However, despite what you may have heard, the color of your vehicle does not have any bearing on the cost of your insurance. If you are financing the purchase of a new or used vehicle, or if you are leasing a vehicle, the lienholder will require that comprehensive and collision coverages are in effect before driving the car home. Depending on where you live and your driving record, purchasing certain types of insurance coverage can be expensive, and you may decide it’s not worth it. The cost to purchase your vehicle may be in some cases lower than the cost of the insurance policy. For example, if you received your car as a gift from a relative or parent, you may opt for higher liability coverage rather than purchasing comprehensive and collision insurance. Research the value of your car using Kelley Blue Book and the safety of your car using SaferCar.gov. Then, you can make a good decision about whether or not to purchase physical damage coverage. When do I have to tell my insurance company about my new car? It is always best to contact your agent prior to picking up your new or new-to-you car so he or she can provide you with proof of insurance before you drive the car home. If you have an existing auto policy at the time of purchase, you may have anywhere from five to 30 days of automatic coverage for your replacement vehicle before you notify your agent, depending on the state in which you live. (Keep in mind that it may only be liability coverage.) 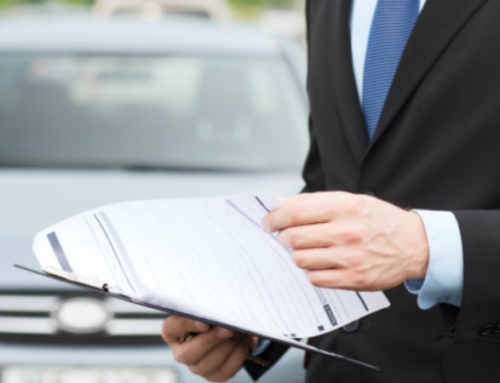 If you do not have an existing policy, you will definitely need to purchase a policy before picking up your vehicle. You also need to ensure that you’re in compliance with the motor vehicle registration laws in your state. Even if you have insurance coverage when you drive your new car home, your DMV paperwork will likely need to be in order as well. What discounts are available to help reduce the cost of my insurance? Whether you’re purchasing a car for yourself or a loved one, it’s important to give your insurance agent as much notice as possible. That way, you will have enough time to discuss your options and decide on the right coverages for you before driving that new car home.